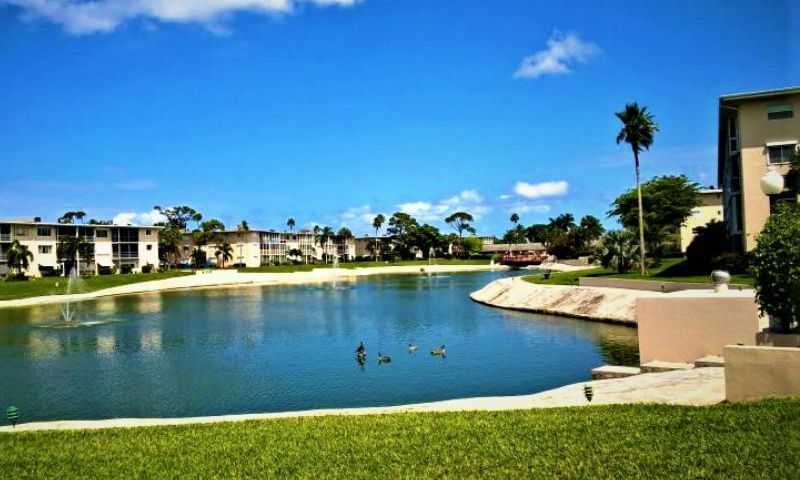 Lake Clarke Gardens is a community for homebuyers 55 and better located in Lake Worth, Florida. This established condo community has 855 units, ranging in size from approximately 744 to 1,080 square feet with one or two bedrooms, one or two bathrooms, and assigned parking spots. Many of the units have been tastefully updated with modern appliances and designer touches. The community boasts an active clubhouse with space for club meetings, card games, and holiday parties. There is also a fitness center, two outdoor pools, a putting green, ten shuffleboard courts, and walking paths throughout the community. The homeowners' association provides building and community maintenance along with landscaping and other services that make it easy to relax. As part of the Palm Beach County, homeowners at Lake Clarke Gardens enjoy all of the best Florida has to offer with beautiful beaches, lots of great golf courses, and a mix of daily conveniences and cultural attractions. Check back soon for more information on the lifestyle in Lake Clarke Gardens. Check back soon for more information on the model collections and floor plans available in Lake Clarke Gardens. 55places.com is not affiliated with the developer(s) or homeowners association of Lake Clarke Gardens. The information you submit is distributed to a 55places.com Partner Agent, who is a licensed real estate agent. The information regarding Lake Clarke Gardens has not been verified or approved by the developer or homeowners association. Please verify all information prior to purchasing. 55places.com is not responsible for any errors regarding the information displayed on this website.